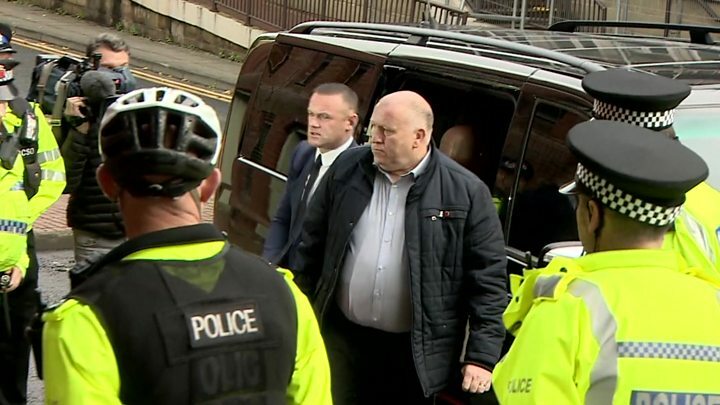 Rooney was also ordered to pay £170 when he appeared at Stockport Magistrates' Court. In a statement issued after the hearing, the Everton footballer said: "I want publicly to apologise for my unforgivable lack of judgment in driving while over the legal limit. It was completely wrong. Image caption The judge told Rooney: "You placed yourself and other road users at risk"
Rooney's legal team had asked District Judge John Temperley to consider not imposing a community order because of his ongoing charitable work. However, the judge said he was "not convinced" that imposing a large fine "would have the same effect". Rooney's lawyer, Mike Rainford, told the court it was likely that Everton would fine the player two weeks' wages, which the BBC understands to be about £300,000. Judge Temperley said: "This is a serious matter... you placed yourself and other road users at risk as a result of your poor judgement that night. "I accept your remorse is genuine and that you are aware of the adverse affects the events of that night have had, not least on your family." Rooney has pleaded guilty to drink-driving; his lawyer says he "wishes to express his genuine remorse for...a terrible mistake"
Rooney lawyer says his client has written letter to judge "expressing his regret & how he recognises he's let down himself, family & fans"
The Liverpool-born player rejoined his boyhood club this summer, 13 years after leaving for Manchester United. The father-of-three is also England's record goal scorer.